Wake Up with Make -Up! Imagine waking up every day looking as good as you did the night before, and imagine the free time you will have by not applying make-up daily. At Esteem Beauty we have a perfect solution with permanent Make-up. Permanent Make-up is a non-surgical long lasting, smudge free, cosmetic make-up system, that is carried out by a highly skilled linergist. The process involves the use of precision equipment that carefully deposits minuscule amounts of a natural hypoallergenic pigmentation into the first layer of the skin (called the epidermis) using a special technique originally developed for medical and then for beauty purposes. Who would benefit from permanent make up? Esteem Beauty is licensed by Glasgow City council to perform these treatments. 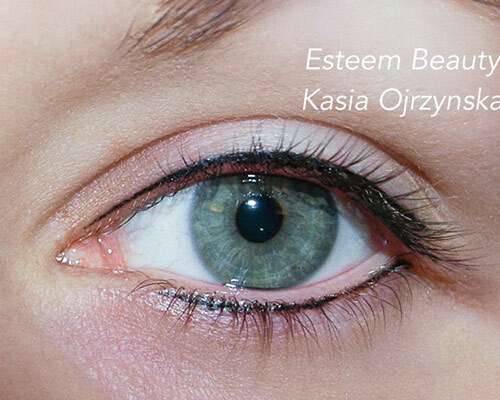 Kasia, Esteem Beauty’s Elite Permanent MakeUp Artist, is a Master Microblading & Micropigmentation Trainer & Mentor. Her skill set is extensive including all Cosmetic & Medical tattooing to an advanced level. She is an accredited specialist in corrective pigmentation techniques. Kasia is committed to the safe practice of Permanent MakeUp and promotes high standards. She was a Finalist at the Scottish Hair and Beauty Awards 2012 & 2014 (Beautician and Cosmetic Practitioner of the Year ) and winner of the 2014 ‘Salon of the Year’ for the West Coast of Scotland. Kasia is a University Qualified Cosmetologist with 20 years beauty & aesthetic industry experience. She undertook the Professional Linergist Course for Micro-pigmentation at the LONG-TIME-LINER® Training Centre in Warsaw and then the Elite Linergist Course at the LONG-TIME-LINER® Main Education Academy in Munich. Kasia also undertook the Professional course at the Szwedo Center in Poland, the world leader in microblading. Kasia is highly respected by the Linergist community and has been invited to judge at international Permanent Make-up competitions in Poland. Kasia is the founder of the Esteem Excellence Academy, where she delivers ABT accredited microblading and micropigmentation training. Kasia’s training provides a world class learning environment where beginners, or advanced permanent makeup technicians, can realise their potential as professionals in the field of Permanent MakeUp. For examples of the transformations that are possible, come along to the salon and see our gallery of photographs showing ‘before and after’ pictures of Esteem Beauty Clients that have had Semi-permanent Make-up Treatments. Eyebrow shape can support the expressiveness of your face, framing your eyes. 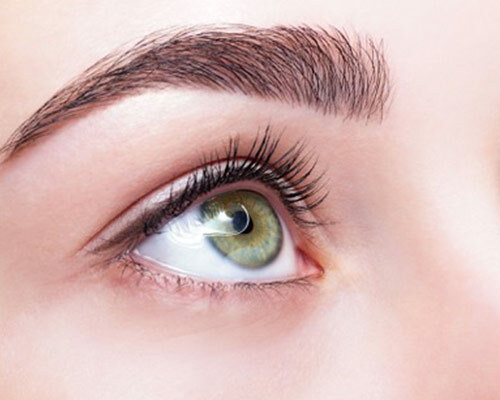 But eyebrows can be uneven or sparse as a result of repeated tweezing or poor shaping. Semi-permanent Eyebrow can define facial features by bringing balance to the face. We test the design by pencilling the outline then choose a suitable, personally chosen colour for eyebrows and the technique. We can give flawless lips that are precisely defined and beautifully coloured. Choose a colour from our extensive palette ranging from natural lip tones to the most fashionable shades that complement your skin tone. Next, we carefully outline your lip shape and then with our special shading technique we blend the colour onto your lip to give you fullness and long lasting lip colour. Once completed, you can put your lipstick away! Even after eating, exercising or kissing! Your lips will always be beautiful. Permanent Make-up Eyeliner is the application of fine, natural lines on your upper and lower eye line. You can choose a soft eye line that makes the eyelashes thicker or a more highlighted one if you prefer a more decorative eye make-up. After the pigmentation process, both eyelids emphasize the expressiveness of the eyes. Imagine smudge-free eyeliners even during or after exercising, swimming, and every day activities. We can also design and test then add a permanent beauty spot wherever you wish. A.It is a long-lasting cosmetic make-up, depositing pigmentation into the first layer of the skin called the epidermis using a special technique developed for medical and beauty purposes. Q.How long will the Make-up colour last? A.Esteem Beauty will give you an aftercare advice booklet to maximise the lifespan of your treatment, but there are some factors like lifestyle and increased exposure to the sun that can affect you make-up. Esteem Beauty recommends that you colour refresh your make-up every 1 to 3 years to maintain that fresh look. Q.How does the treatment process work? A.An initial detailed and confidential consultation will establish whether you are able to undertake treatment. This consultation will consider your individual needs and explain the treatments available to you. Two weeks after treatment, a complementary session is offered to reinforce and preserve the treatment for your quality assurance. Natural fading will occur after 1 - 3 years, when enhancing maintenance can be applied. A.Some discomfort may be experienced, however this can be reduced with the use of mild anaesthetics creams. A.The equipment used is the latest and most technologically advanced, it has been inspected by, and meets the requirements of, the Heath and Safety Executive. Like medical equipment, permanent cosmetic equipment is safe by design against cross contamination. Fully disposable ‘single use only’ applicator cartridges and blades are used, for your complete safety and peace of mind. Q.How safe are the products used? A.At Esteem Beauty we only use natural, mineral-based and non-toxic, meaning treatments are hypoallergenic. A.The results will appear very natural and your features will look more defined making you look completely refreshed. Your friends will never know what the difference is unless you choose to tell them! Q.How soon can I go out? A.Immediately! The colour may appear a little darker than required for the first few days but never enough to be noticeable. Esteem Beauty is an Elite Permanent Make-up Salon Licensed by Glasgow City Council.